occasionally do the yoga tree pose for one minute or less. often do one legged kb deadlift (done slowly but not as zz) or with no weight. not as zz, so that doesn't really answer your question. What I'm training now is five minutes each leg, raise hands for left and white crane for right. 5 min is too much for me at the moment. I did hold wall sits for about 1 min a few times in the past month or so. also planks for about 1 min. Well it's five minutes each leg after doing fifteen minutes in three double-leg stances. The fifteen minutes is pretty easy, but working up to the full five on single legs takes some doing. Working from one minute to two to three, etc. The worth is immediately apparent. oragami_itto wrote: So among the zz practitioners, how many of you hold one legged postures? Occasionally I hold lou xi (raise hands). I start with a tree hugging stance then step forward with my right foot and hold that for five minutes, then step forward with my left foot and hold that for five minutes, and I step back twice holding each for five minutes. In my opinion various one legged postures can be more effective in teaching you how to sink the qi and root than doing exercises like FZQ's sink the qi or even just the Tai Chi form. I think in general the exercise gets you to certain foundational checkpoints, simply faster than the Tai Chi way. The only caveat is, simply, you are doing some intermediate exercise you will eventially stop practicing (because everything is in the form) so don't get too attached to the feelings you get out of such an exercise. If you get a body shape pulled too far off-center from such a practice it can sometimes become very difficult to segway back into the tai chi form with roundness and void. What is FZQ's "sink the qi" exercise? I don’t know really, maybe not for ”sinking” in general, but maybe for rooting. Don’t remember exactly my own progress in detail, but leg strengthening from deep PH practice etc tend to come from more or less single weightedness, or at least the weight unevenly distributed. From what I’ve heard Ben Lo used to say that Tai Chi is single legged and usually dropped down in a single leg squat and slowly rise up again. So he would probably agree. 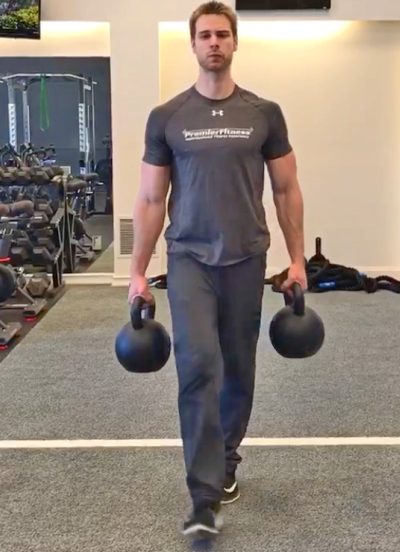 Except for wuji standing, I do most standing in single weighted stances, even the “holding ball” posture I do is completely single weighted, all weight resting on the rear leg and with only the toes of the front foot touching the ground. And I absolutely love the XY Santishi done with the very most of the weight on the rear leg. Done right it’s torturous, in the beginning most people can barely stand for 12 breaths. But the more you learn to relax through the pain, the more you’ll gain from the practice. This is the one and only XY exercise I return to and practice quite regularly. Not every day, but anyway, it’s the best leg strengthening exercise there is. And it teaches your body how to sink the strength and how to use abdominal breathing better than any other stance practice. IMO. charles wrote: What is FZQ's "sink the qi" exercise? The first exercise of his Hunyuan Qigong? For just the leg strength aspect, my legs are still fairly strong from mainly playing soccer/football, but not sure what my pr would be in squat or deadlift or something. Probably not objectively that good. But I find standing in low stances much more difficult. I do recall seeing Ben Lo do what we'd call a pistol squat. My dad could do it about once per leg in his 40s. When I try it partially (down to a chair), it seems like I'd need more strength right above the knee, and more core strength as well as flexibility. To work on (partially) single leg work, I like the Bulgarian split squat as well. And TGUs. Hunyuan Qigong #1 "Jiang Qi Xi Zhang" aka sink qi to wash the organs. It's a common move in the internal arts, you will find it and similar-purpose moves in Taichi, Xingyi and Bagua, ex. 0:24 in https://www.youtube.com/watch?v=uP5OEjYVzKQ shows the move used to start a Xingyi form. Last edited by Appledog on Thu Jan 31, 2019 7:30 am, edited 5 times in total. Well, is that FZQ exercise what people mean by "standing post" or "holding the ball"? Although, I can't specifically recall seeing any pictures of YCF doing the "holding the ball" pose, I'd expect it to look something like this.